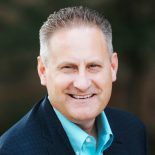 Steve Green became President of Hobby Lobby in 2004 and has helped his family grow the business to more than 850 stores in 46 states with over 37,500 employees. He is a national speaker on both business and philanthropy interests, always focusing on how his faith intersects with his life endeavors. Gordon-Conwell Theological Seminary recognized his impact in these overlapping life arenas with an Honorary Doctorate of Divinity Degree in 2013 and in 2015, Mid-America Christian University presented him with an Honorary Doctorate of Biblical Literature. Green is also chairman of the board for Museum of the Bible. In his role as chairman, Green has assembled a team of academics, designers, technology professionals and other experts to create the 430,000-square-foot Museum of the Bible, dedicated to a scholarly and engaging presentation of the Bible’s impact, history, and narrative. The Museum opened November 2017 in Washington D.C., three blocks from the U.S. Capitol. Green has authored three books: Faith in America (2011), The Bible in America (2013) and This Dangerous Book (2017). His books can be found in Hobby Lobby stores across the nation, and online. Green and his wife, Jackie, have been married for more than 30 years and reside in Oklahoma City, where Hobby Lobby is headquartered. Their family includes a son, five daughters, a daughter-in-law, three sons-in-law and four grandchildren. They are actively involved in their local church, as well as with many national and international Christian ministries and charities.